Hi! Thank you for visiting our new webpage! You’ve all been asking and so we’ve been diligently working to finally bring you a beautifully vibrant website where you can actually order our pickles online!!! We’d love to hear your feedback, so feel free to email me using the contact form or calling me, Holly Kurzhal, at 541-517-7308. We know shipping can be expensive for our heavy glass filled jars, but we sure appreciate you loving our product so much that you are willing to get them shipped directly to your doorstep! If you are local, I can do local deliveries. My deliveries day are usually Wednesdays from 10-3. Please call to schedule a delivery time. Matt and I started our business in 2011, when my daughter was just 2 years old. 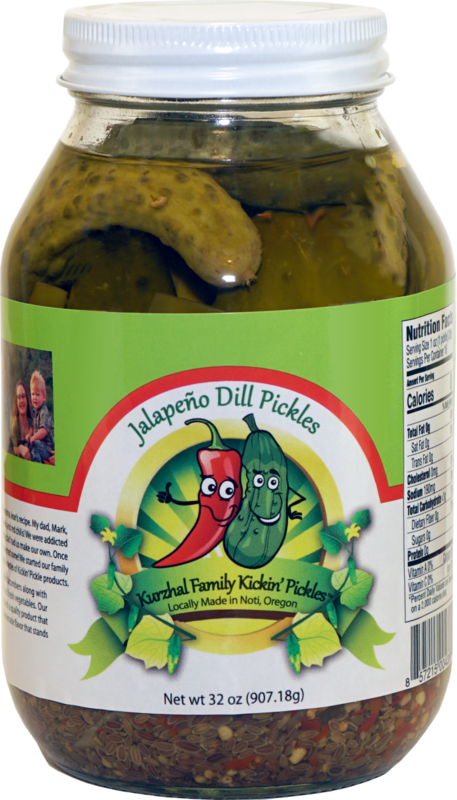 It began by making just 60 jars of our famous jalapeno dill pickles. Dad had made them for years from his mother, Jean’s, recipe… but adding that extra kick of jalapeno and red chili flakes. We just loved those pickles and asked for them every time we saw him! So it was time for us to make our own. Of course, we shared our specialty pickles that we were so proud of and our friends went crazy over them, begging us to sell them! 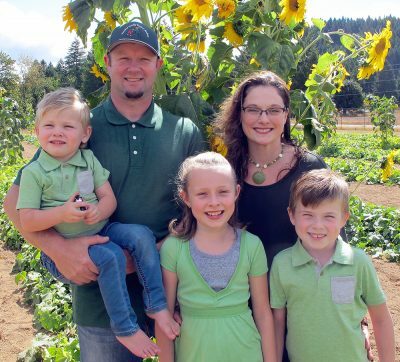 In 2012, we made a few hundred jars, which we thought was a lot…and we went to our first Veneta Farmers Market to sell our pickles. They went over very well and we were sold out by Christmas. We decided it was time to truly make this passion our business. We attended the acidified foods class at Oregon State University and began our journey through all the FDA paperwork and ODA inspections. 7 Years later, here we are, growing steadily, growing thousands of pounds of home grown cucumbers, and sourcing organic product and ingredients to make the best line up of pickled goods for you! Many thanks to our faithful customers like you, we can keep moving forward. As you may already know, our pickles are made the old fashioned way, with apple cider vinegar, salt and organic spices. Our goal is to supply you with a quality product that is additive-free with a unique homemade flavor that stands out from the rest. We hope you enjoy our products as much as we do!